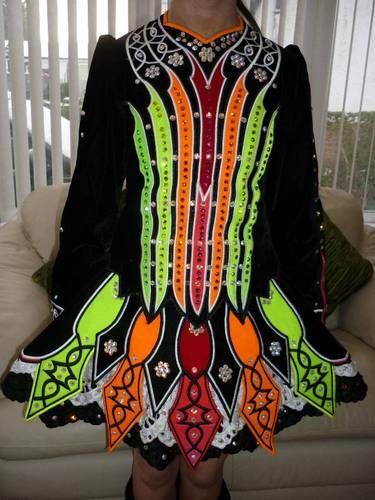 Beautiful Gavin Doherty 2-piece dress, stunning stage presence in multi coloured & black velvet. Dress is embellished with hundreds of Swarovski Crystals. Headband & bloomers to match. Excellent Condition. Asking Price: Â£800. Shipping costs not included. Sale is final.